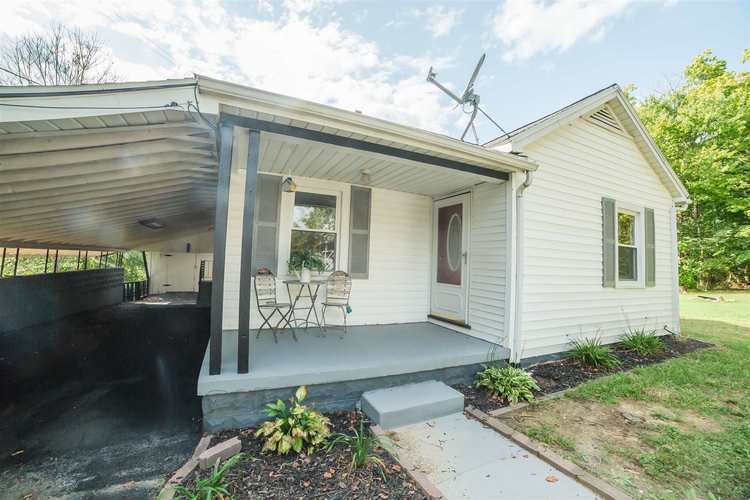 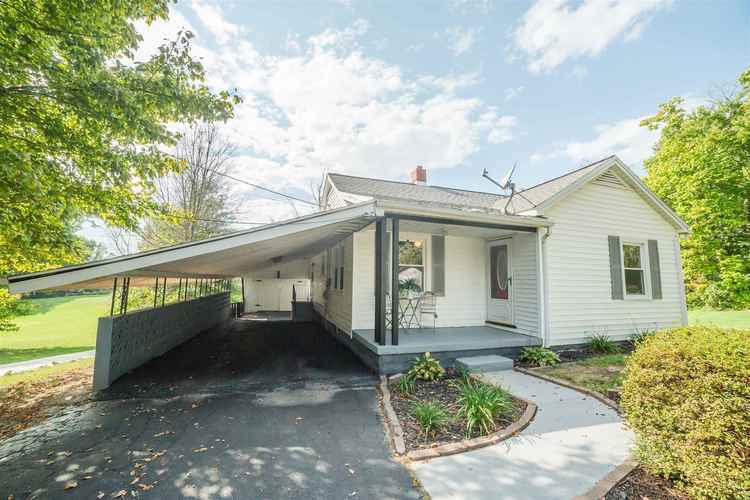 Complete remodeled home on Evansville's West side! 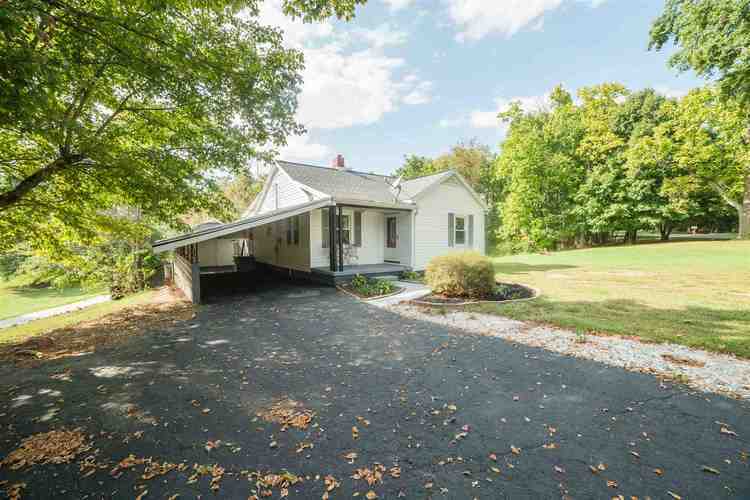 This home sits on sprawling 2 acres of yard and woods. 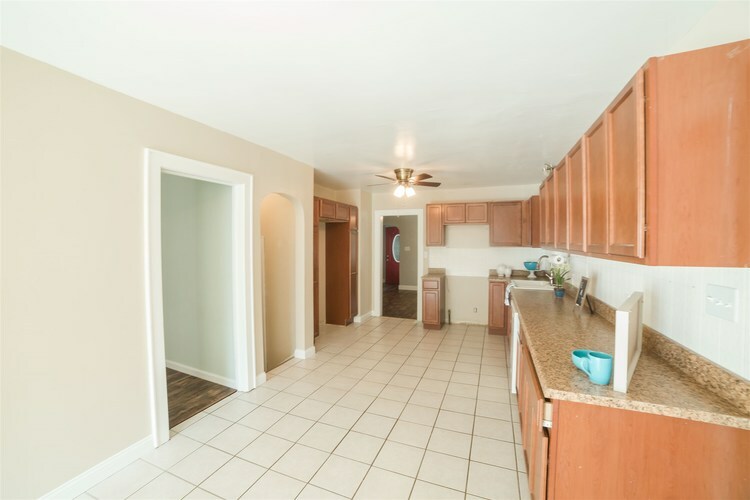 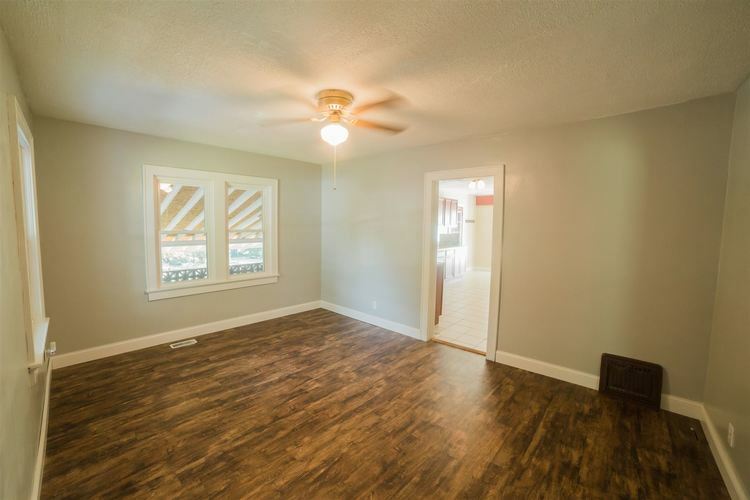 Beautiful wood laminate floors grace the front room with fresh paint and leads into the large kitchen. 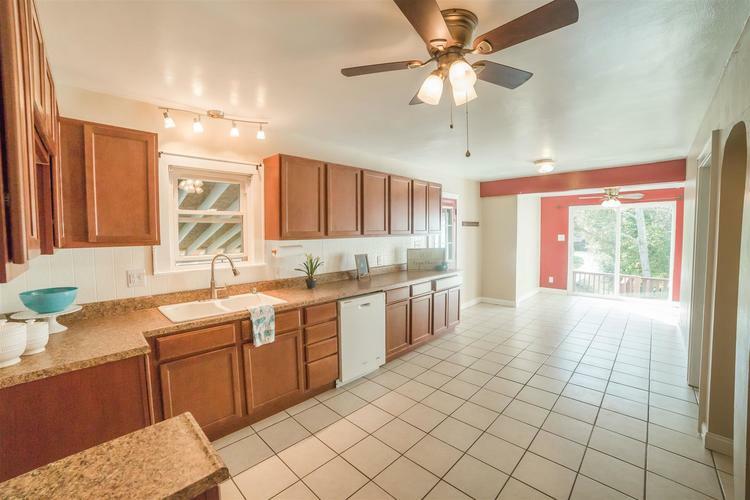 The kitchen has been completely updated with new cabinets, counter, floor, lighting, sinks, faucet. 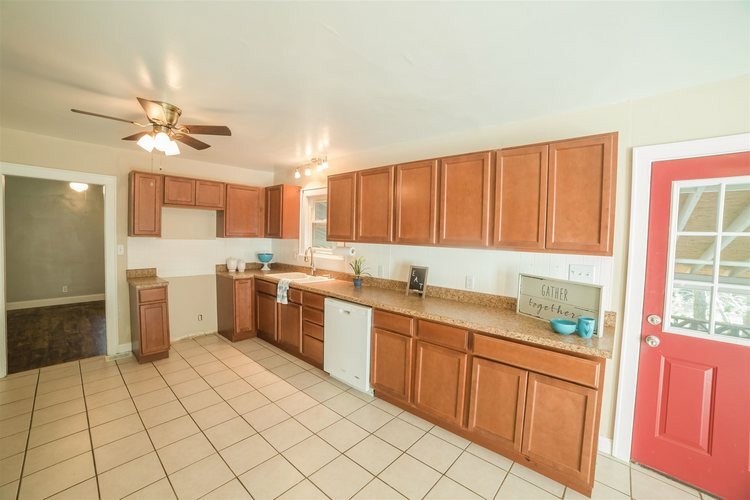 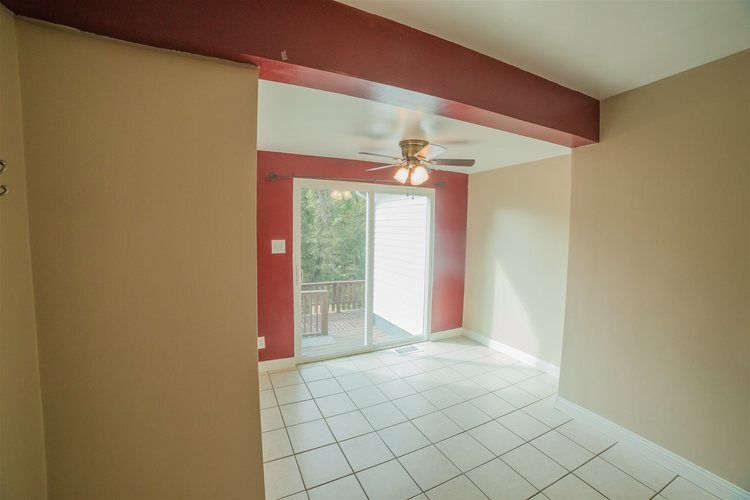 Eat in the kitchen or newly added dining area which over looks the back yard. 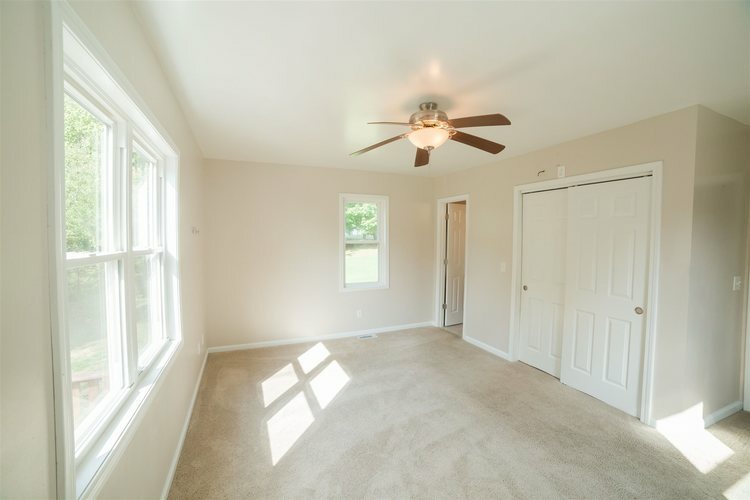 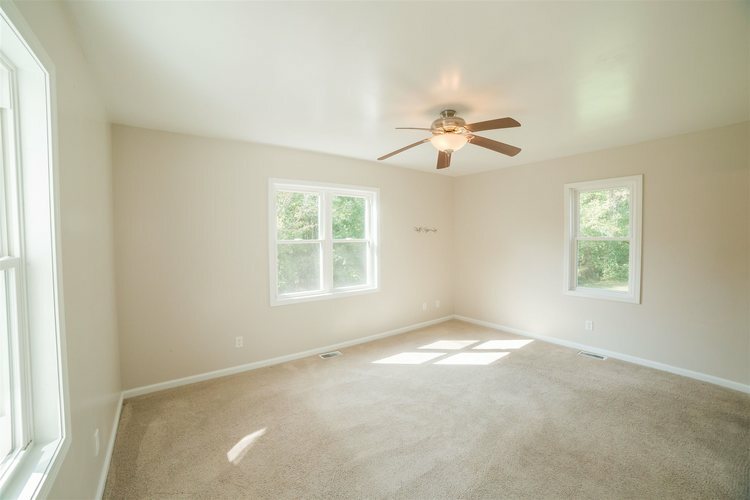 Two nice sized guest bedrooms have fresh paint, new ceiling fans. 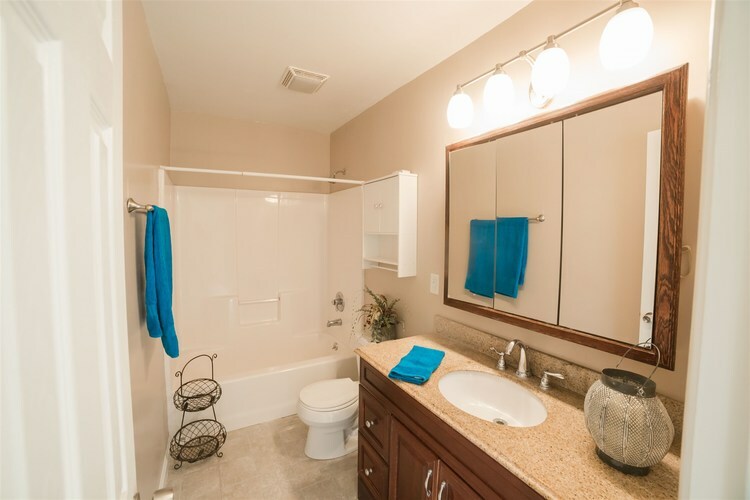 The guest bath is conveniently located between the two bedrooms and has been totally renovated. 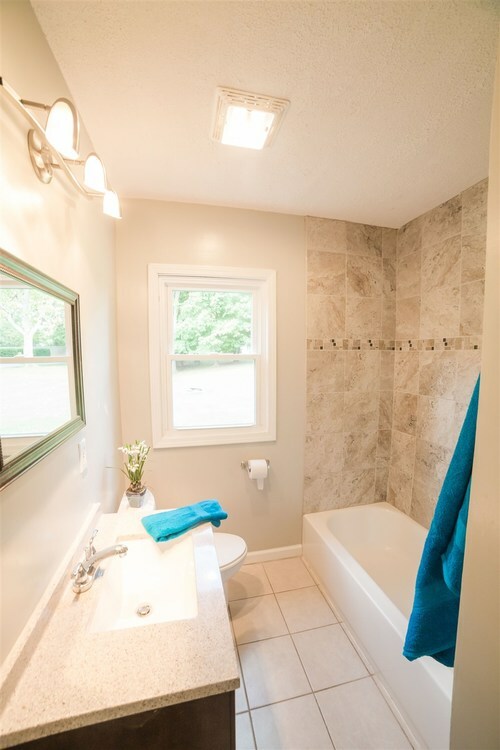 New vanity, lighting, toilet, faucet, floor and don't overlook the gorgeous tiled bath/shower. 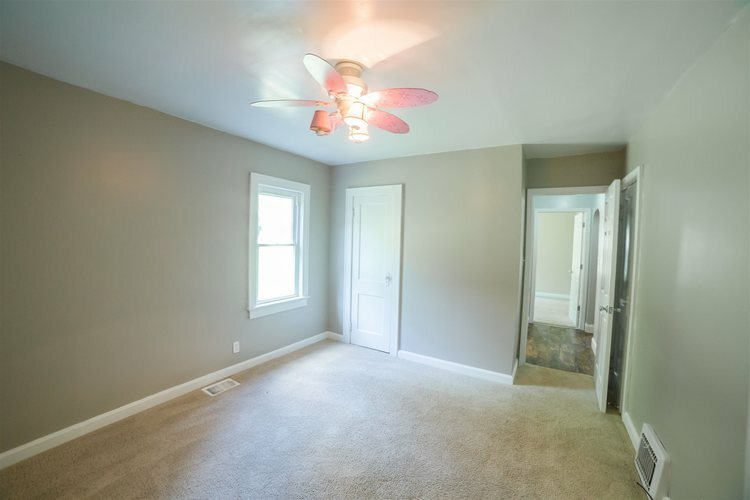 A large master bedroom was added to the home in 2013 with a large closet and private En Suite! 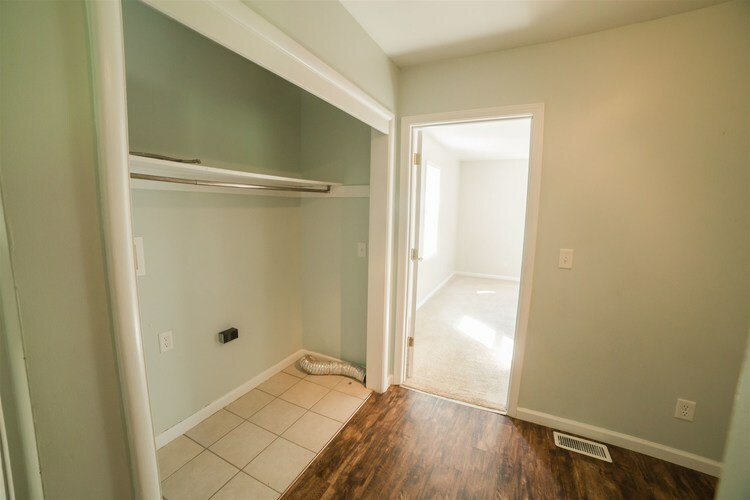 A large laundry room is conveniently located right outside the master bedroom to make freshly folded clothes easier to put away. 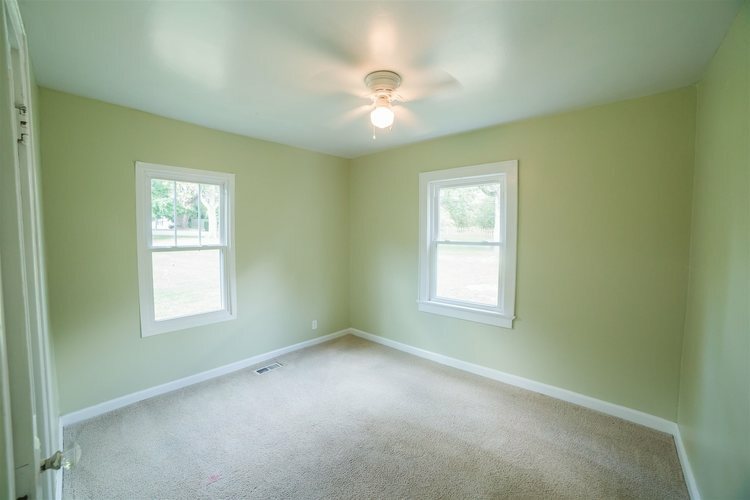 This home is perfect for someone that would like to have chickens or goats! 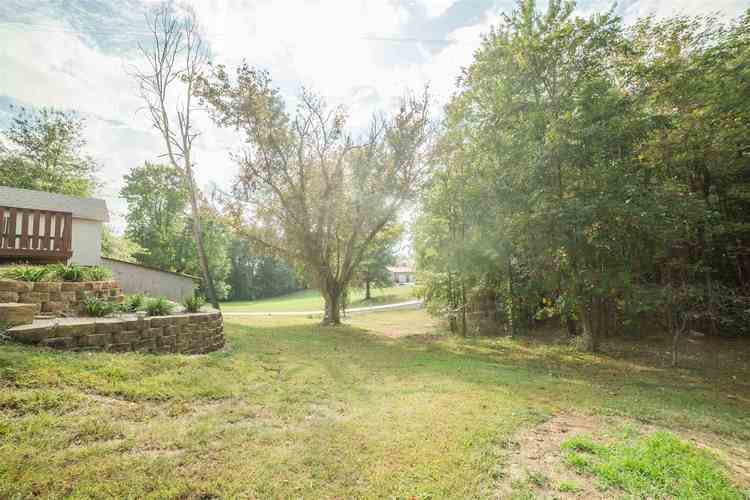 The chicken pen is still ready and waiting for the new owners! 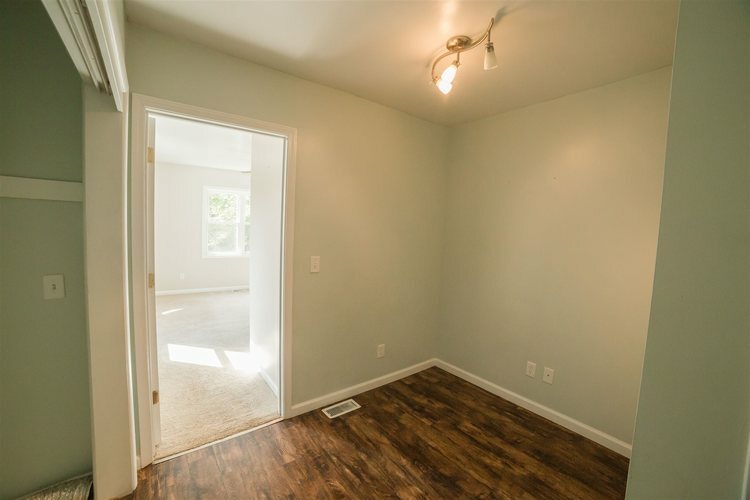 Updates per owner: 300 sq ft master en suite added, all flooring throughout, paint throughout, roof, HVAC, hot water heater, windows, doors, gutters, downspouts, deck, full kitchen including cabinets, counter, sink, faucet, dishwasher; two new bathrooms including vanities, faucets, toilets, tile; lighting throughout, plumbing, electric. 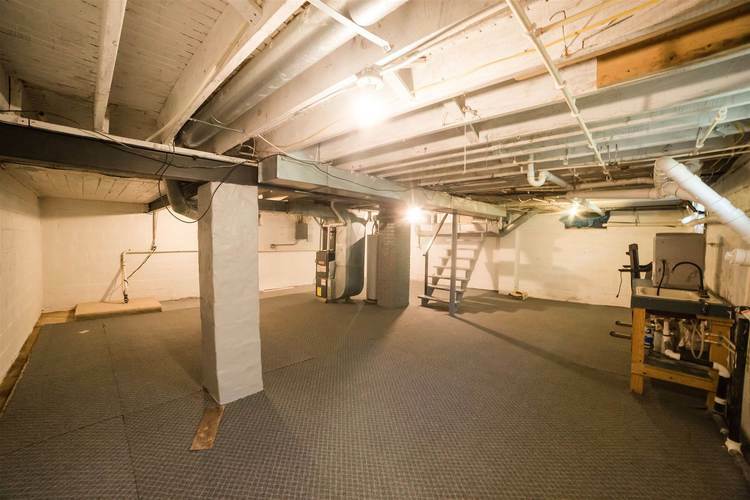 Septic system was put in 2013 with two tanks for easy clean out......so much to list! 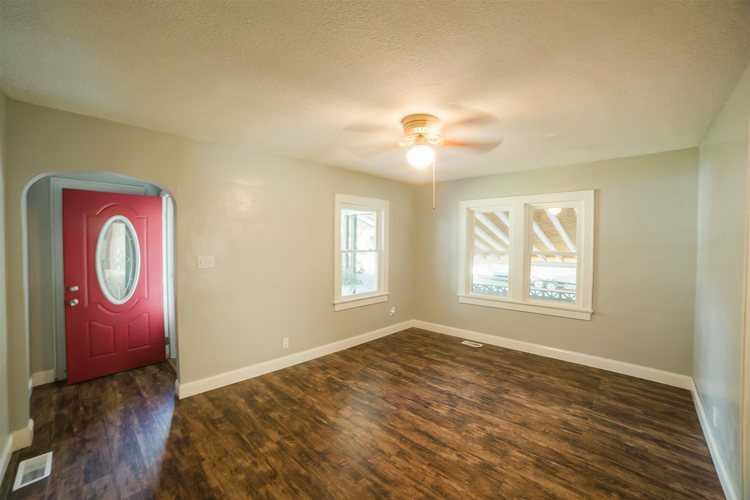 Sleep easy at night because the seller is even adding a one year Home Warranty!